Instant Home Link Provides the Public FREE Search of our Directory of Professionals! Search our Huge Database of Skilled and Trusted Professionals-They are Ready and Willing to Serve You! Connect with national and local home improvement contractors, handymen, and more to help repair, remodel or restore your home! Whether you are planning to buy or sell a home, choosing the right Real Estate Agent is crucial. Search our directory of professionals Residential & Commercial Real Estate Agents Today! Get Pre-Qualified with One of The Professional Mortgage Brokers or Loan Officers Today for Your Next Home or Investment Purchase! Get Listed in the World's Largest Directory of REO Agents, Foreclosure Cleanup Business Directory "Property Preservation Directory Now! CONNECT WITH ASSET MANAGERS TODAY! Expand Your Foreclosure REO Business with Instant Home Link! 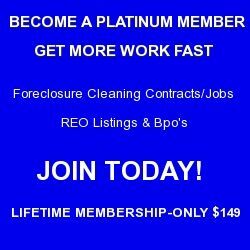 Start Earning more Reo Listings, Bpo Orders, Foreclosure Cleaning Contracts, Jobs & Work Fast! Join Instant Home Link Today! Earn More Business in 2016! Get More Foreclosure Cleaning Contracts! 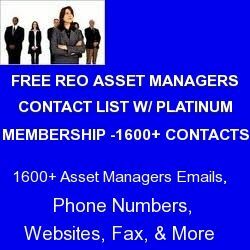 Every Month Instant Home Link sends out to the Top Banks, Reo Asset Management Companies, & Asset Managers Detailed High Profile Glossy Resumes Advertising our Platinum Members Services-Exclusive Member Benefit only Available to Platinum Members! Take Your REO Foreclosure Business to Another Level and Get Registered Today!